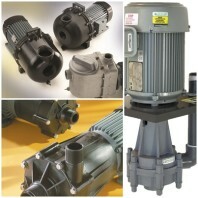 Series EF Vertical Pumps are available in a wide range of proven centrifugal pumps. Construction in thermoplastics or stainless steel. Flows from 20 LPM to 2000 LPM. 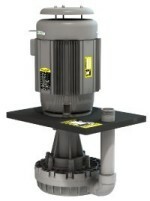 SERFILCO vertical pumps have a cushioning design that eliminates layers and conventional pump seals and results in a pump that can run dry for a certain amount of time without damaging it. This robust construction can endure the most demanding chemical applications.